O'Brien is part of various WhatsApp groups for each of the barns in his Kilkenny yard - where he houses around 120 horses - which details information about different horses like whether they've eaten up overnight and if temperatures are as they should be. Messages are regularly coming through his walkie-talkie - connecting him directly to his various staff - while his phone lights up every minute during conversation as some type of data drops to his inbox to help aid efficiency. It's that level of detail which has helped the 25-year-old make an extraordinary transition from the saddle to the training ranks and ensure that he's already well on the way to replicating his success as a jockey. Each of the last three years has seen a remarkable milestone achieved with Rekindling's Melbourne Cup success followed by Latrobe's Irish Derby win last year, while he notched two Cheltenham Festival winners last month. All of that comes on the back of a riding career which saw him crowned Irish champion jockey twice, as well as bagging the Epsom Derby on two occasions, before being forced to give best in his battle with the scales in 2016. He admits he gets "a far bigger kick out of training" than riding but success comes as a surprise to him, despite his father Aidan being champion trainer 26 times between Flat and jumps, while mother Ann-Marie was also champion jumps trainer in 1992/'93. "I didn't expect to have near the success that we have had. We've had a remarkable couple of years and I didn't even dream of getting close to the big winners that we've had, it's been unbelievable. It's all downhill from here," O'Brien says with a smile. 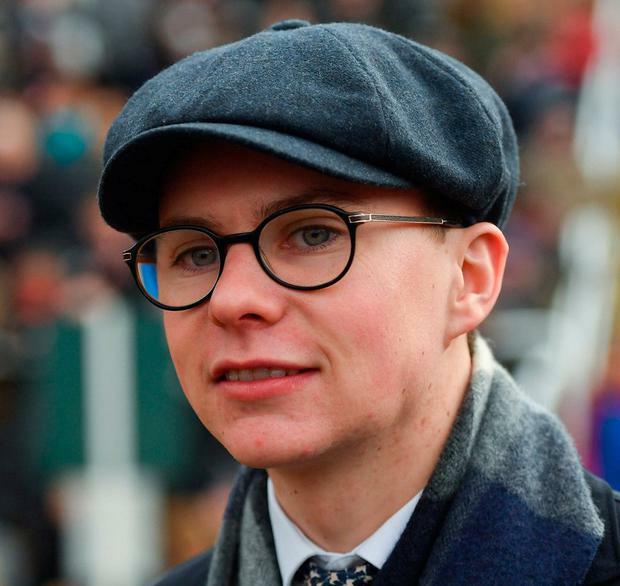 With younger brother Donnacha also expected to hang up his saddle in the not-too-distant future and possibly take out a training licence, O'Brien jokes that that could spell "my second retirement before 30". Time spent in his company illustrates a wit that the cameras doesn't show. When there's races to be won, it's all business but when things are in neutral, there's a sharp sense of humour. Impersonator Conor Moore does a hilarious sketch of O'Brien - which he has watched - where he says, "I'd go crazy if he won, I'd probably stay up till half nine drinking cans, of Fanta," but it's clear he is a character behind it all. The similarities with his father's mannerisms are obvious, especially when debriefing with his work riders having gone through their usual routine up Owning Hill, just outside Piltown. His facilities are much different than the equine-utopia of his father's Ballydoyle yard, however, with the gallops rising 340 feet from start to finish - the 110-acre site is built on the side of a hill where cyclist Seán Kelly used to climb as part of his training - and it means he has to tinker a lot of things, but with the same success. There's no fear of him resting on his laurels and the while the jumps is coming to a close, O'Brien is already knee-deep in the Flat season and he has no intention of slowing down. "You can't look back. No matter how well it looks like you're doing from the outside, there's no big win streaks like some big sportspeople go on in other sports. Your best-case scenario is that you're winning with 25pc of your horses so you can't afford to look back and give yourself a pat on the back."